Sweet! 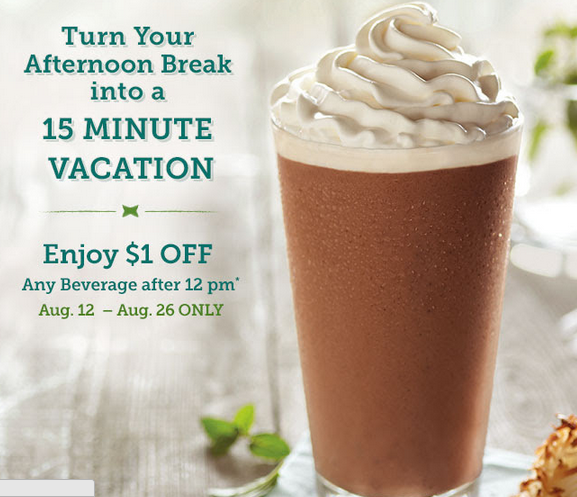 For the next two weeks (August 12-26, 2014) you can knock a dollar off any Peet's coffee or tea drink you purchase after 12 pm. Simply print or bring up this coupon on your phone.